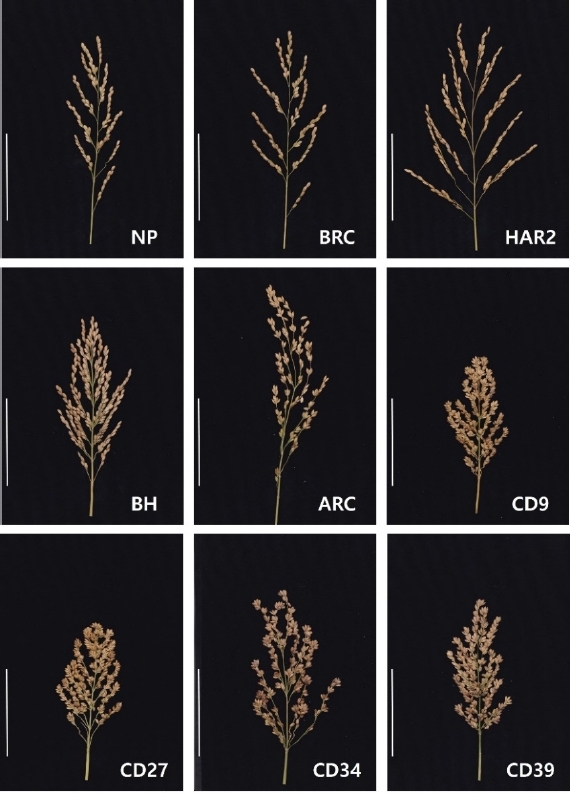 Panicle architecture of the varieties used in this study and selected rice lines with clustered spikelets and dense panicle. NP: Nampyeong, BRC: Boramchan, HAR2: Hanareum2, BH: Binhae Col.#1, ARC: ARC10319, CD: rice lines with clustered spikelets and dense panicle. White bars indicate 10 cm.